We all know that bills are important and in an ideal world, we would pay bills as and when they arise. However, in the current climate, many people find themselves with difficulties regarding their finances. It can be hard to find the sums of money you need to pay all of your bills as and when they come in. This isn’t just the case for people who are reckless with their spending, this is happening for people who take good control of their finances but just find that they can no longer keep up. A recent study undertaken by the Financial Conduct Authority, the FCA, believes that an estimated 4.1 million people in the UK are experiencing financial difficulty. 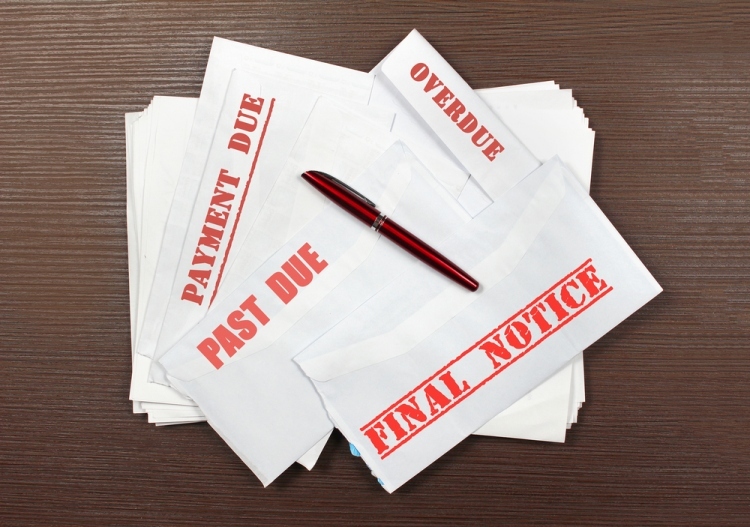 This is down to missing a payment on a domestic bill or on a credit card bill. The study has found that it not just one payment that these people are missing out, these consumers have actually missed at least three payments out of the last six months. The study has found that these people are most commonly aged between 25 years old and 34 years old. This study was part of a larger look at people’s finances by the FCA and in total, 13,000 people were questioned. The studies indicate that as many as 25.6 million people in the United Kingdom find themselves vulnerable and at risk of debt causing them major problems. People who have been classed in this manner display at least one factor, from a range of factors, that indicates their personal finances would be at severe risk if something was to go wrong. It is not as though these potential issues are very serious matters. They include the loss of internet access or an overdraft being recalled, so a lot of people are not too far away from a very troubling financial time. The research was called the Financial Lives study and it was the first time that the FCA has undertaken such work. The findings of the study have unveiled a wide range of concerns amongst consumers in the UK at the moment. It needs to be remembered that this is a time of very weak wage growth in the United Kingdom but it has also been a time of low cost credit. This has seen a lot of people take to credit as a short term solution to their finances but of course, a short term solution often turns out to be more problematic in the long run. Many people have suffered due to this approach and this is underpinning all of the problems that people are facing in the present day. One thing to take from the study is the fact that 15 million people are classed as having a low level of resilience to an unexpected bill coming in and eight million people are actually struggling with debt. A very worrying issue to contend with is the fact that 100,000 people are said to have used an illegal money lender in the past year. It is bad enough that people are looking towards payday loan options but the consequences of using an illegal money tender can harm lives and cause a great deal of trouble in the long run. The penalties associated with this style of decision can go far beyond financial matters, and it is vital that people think about what they are doing. The study found that 17% of people who have a mortgage or who are paying rent would say they would struggle if their monthly payment rose by a figure of less than £50. In the grand scheme of things, this isn’t a lot of money but it is clearly a big enough sum that it would negatively impact on the finances of around five million people in the UK. This is a lot of people who are sailing very close to the limit of their finances and this is why there is a lot of concern about how people are dealing with debt at the moment. There is always help and assistance when it comes to controlling your finances but people need to be honest. Being in debt isn’t nice but if you don’t take action, it will get worse. This is why it is vital that you examine your finances and take any help you need in order to move forward. Next : The Benefits Of Sedation Dentistry. Is It Right For You?